It would be very interesting if someone miraculously found a theory that we could use to consistently predict quantum gravitational effects to much higher orders than possible today. As you can infer, quantum gravity has no relation to observational science. All they are doing is thought experiments, and trying to do mathematical calculations that are consistent with their prejudices about the world. That supposed consistency is all they care about, as there is no observation or measurement that will ever have any bearing on what they do. he just wanted to grill me all evening about physics and math and epistemology. Having recently read this Nature News article by Ron Cowen, he kept asking me things like: “you say that in quantum gravity, spacetime itself is supposed to dissolve into some sort of network of qubits. Well then, how does each qubit know which other qubits it’s supposed to be connected to? Are there additional qubits to specify the connectivity pattern? If so, then doesn’t that cause an infinite regress?” I handwaved something about AdS/CFT, where a dynamic spacetime is supposed to emerge from an ordinary quantum theory on a fixed background specified in advance. 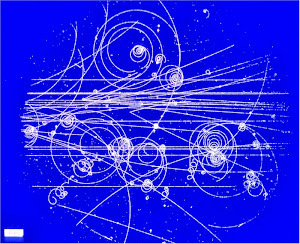 But I added that, in some sense, he had rediscovered the whole problem of quantum gravity that’s confused everyone for almost a century: if quantum mechanics presupposes a causal structure on the qubits or whatever other objects it talks about, then how do you write down a quantum theory of the causal structures themselves? These are all unanswerable questions, of course. There is no such thing as a network of qubits. 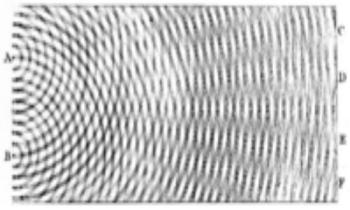 A qubit is an idealization that could be used to build quantum computers, if such a thing exists and can be scaled up. But replacing spacetime with qubits is just a stupid quantum gravity pipe dream that has no bearing on reality. A successful unification of quantum mechanics and gravity has eluded physicists for nearly a century. Quantum mechanics governs the world of the small — the weird realm in which an atom or particle can be in many places at the same time, and can simultaneously spin both clockwise and anticlockwise. Gravity governs the Universe at large — from the fall of an apple to the motion of planets, stars and galaxies — and is described by Albert Einstein’s general theory of relativity, announced 100 years ago this month. The theory holds that gravity is geometry: particles are deflected when they pass near a massive object not because they feel a force, said Einstein, but because space and time around the object are curved. Both theories have been abundantly verified through experiment, yet the realities they describe seem utterly incompatible. And from the editors’ standpoint, Van Raamsdonk’s approach to resolving this incompatibility was strange. All that’s needed, he asserted, is ‘entanglement’: the phenomenon that many physicists believe to be the ultimate in quantum weirdness. Entanglement lets the measurement of one particle instantaneously determine the state of a partner particle, no matter how far away it may be — even on the other side of the Milky Way. No, measuring a particle has no effect on a partner on the other side of the galaxy. It appears that people are so spooked by entanglement that you can babble nonsense and be taken seriously by a leading science journal. It is not true that there is any incompatibility between relativity and quantum mechanics, in any practical sense. The supposed problems are in black holes or at the big bang, where much of we know breaks down for other reasons. There is no foreseeable way for a scientific resolution of what the quantum gravity folks want. This is science fiction from beginning to end. One rarely even knows the complete quantum state for a single particle, and never for anything complicated. Van Raamsdonk endorses the wacky idea that entanglement and wormholes are the same thing, on a different scale. The rationalists (such as the Less Wrong crowd) grapple with their own futuristic compatibility problem. They are convinced that AI robots will take over the Earth, and then will have no use for illogical humans. So they are determined to improve the logical functioning of humans so that they will be able to coexist with the machine super-intelligence. I think that the robots will exterminate us when they discover that our leading scientists believe that detecting a particle can have an instantaneous effect on the other side of the galaxy. Instantaneous is not measurable, or observable. It should not be allowed in the arena of science any more than divine miracles as it does not pertain to observable change. If you can't observe something, I would say your understanding is merely a second hand speculation at best, informed as it may be. If all you have is a model, you do not data about the actual subject at all, you just have data about your model. Physics and much of science has now been consumed by very expensive thought experiments that will not benefit anyone other than the people getting the research money to pursue these experiments. The people who ultimately fund these 'experiments' will eventually begin to realize they have been had. History is also replete of what happens to charlatans when they are caught, It ends badly. I enjoy your blog. You made me laugh out loud several times. "What would be a breakthrough in the field? It would be very interesting if someone miraculously found a theory that we could use to consistently predict quantum gravitational effects to much higher orders than possible today." I'll give them the breakthrough they are looking for if they deposit at least $3,000,000 U.S. dollars into my bank account tax free. I have the equation ready to go for this and it accurately predicts gravity on the quantum level. Show me the money and I'll show you the unification you've been looking for for the standard model.